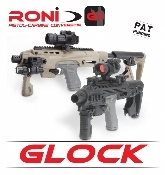 Your source for tactical accessories, gear and equipment for military, law enforcement and civilian needs. All of our products have been used through out the world by military and law enforcement agencies, so you can trust the reliability of our products. 24 Hour Tactical will provide you with reasonable pricing, fast answers to your emails, quick shipping and well packed shipments. This is what sets above our competition. Even if you don't make a purchase today, feel free to register so you can receive emails on new products and online specials.